Have a top-notch gaming time on Magicious Slot by Thunderkick. The game offers superb features that will bring you great wins. 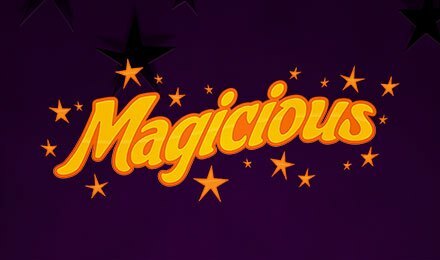 Watch the magic tricks on Magicious Slots. This superbly designed 5-reel, 10 paylines game has playful effects and top-notch graphics. Start your play on the flamboyant slot by choosing your stake from 0.10 to 100 credits per spin. The Expanding wild is the main attraction on the game. This expands across all three rows and includes a re-spin. The Expanding wild will be locked in place, and will start re-spinning the remaining 4 reels. You can win both ways with the Win Two Ways feature. This means that pays are awarded from either left to right or the other way around.